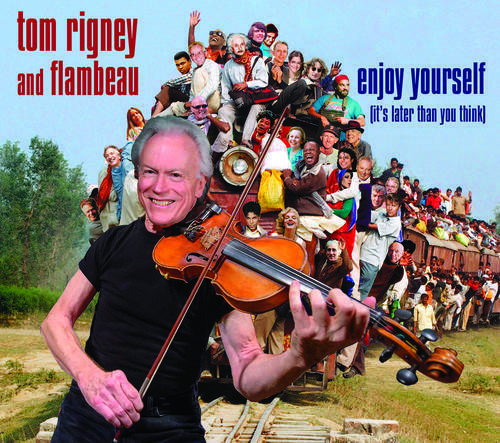 This the new CD by American Roots band Tom Rigney and Flambeau. This new disc is an eclectic mix of Roots Music styles from Cajun two-steps, to Blues, to Roots Rock and Roll. It features several new original songs and instrumental pieces by Rigney, as well as some old classics - Louis Jordan's "Let the Good Times Roll", George Gershwin's "Summertime", and Flambeau's reinvention of the 1950's hit, "Enjoy Yourself (It's Later Than You Think)". 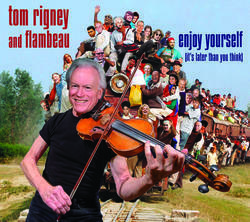 Rigney's incendiary fiddle playing is featured throughout the album, and his band lays down some grooves that are guaranteed to get you up off the couch.